Our friends over at Heel Bruise just released their line of tees for summer! Here's my personal favorite. 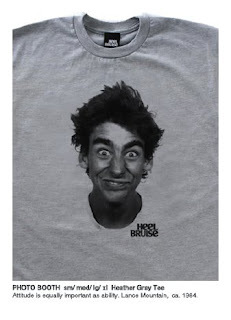 This old photo of Lance Mountain is looking a bit like our boy Kanoa Chung. Classic. Check out the rest of the collection here. Be sure to keep an eye on the goods that will continue to come from these guys.